Veteran actress Sharmila Tagore graced the Hello! Hall of Fame Awards 2019 recently and was conferred the Lifetime Achievement Award for her contribution to the Hindi cinema with some iconic films like Aradhana (1969), Kashmir Ki Kali (1964), Amar Prem (1972). She also interacted with the press and was all praises for her granddaughter Sara Ali Khan. 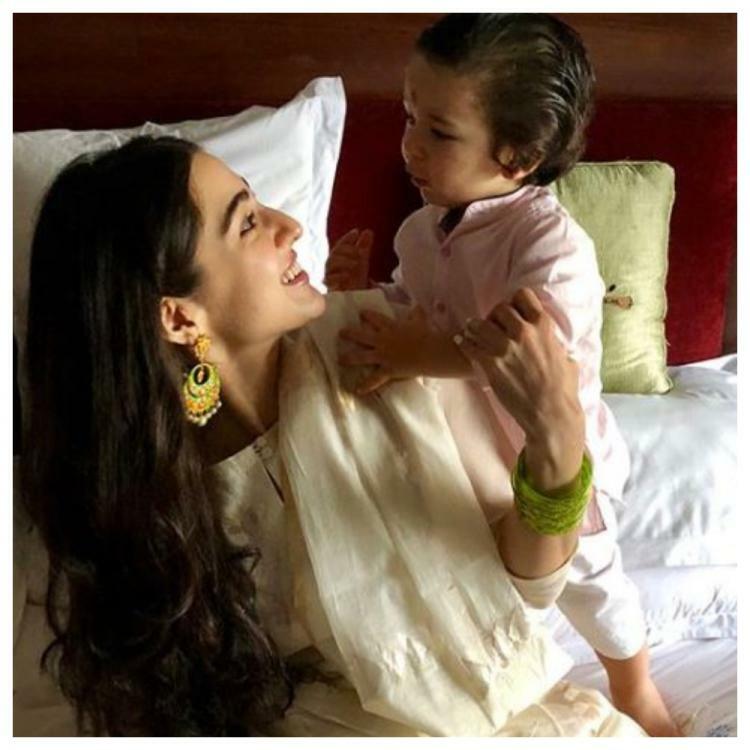 She also had a say on how her grandson Taimur Ali Khan is enjoying all the media attention as well as makes headlines whenever he steps out of the house. Sharmila Tagore has always praised her granddaughter since the beginning and has appreciated her presence on and offscreen. When asked about Sara Ali Khan at the award night, the veteran actress said that she looks very much like her mother. She further added, "I am so impressed with Sara in all her interviews more than the films. Of course she is a wonderful actress but all her interviews shows that how humble, how polite, how savvy she is. I am very proud of her". She further went on to agree with Sara Ali Khan's opinion 'If you can't beat them, join them' when asked about the stardom that Taimur enjoys. She said, "This is the age of social media. I am very old fashioned. I don't think children should be exposed to all this". Sharmila Tagore was happy to receive the honour and also talked about her journey in the film industry and explained that she has many memorable occasions and all the films she has worked in are her favourite.